How can you package something that is as abstract as tropical paradise? 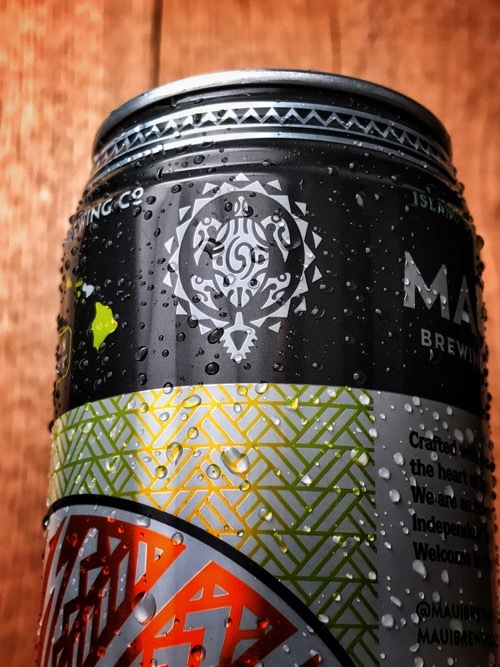 Maui Brewing company certainly figured something out when they sent their Pineapple Mana Wheat all the way out here to Ohio, that’s for sure. 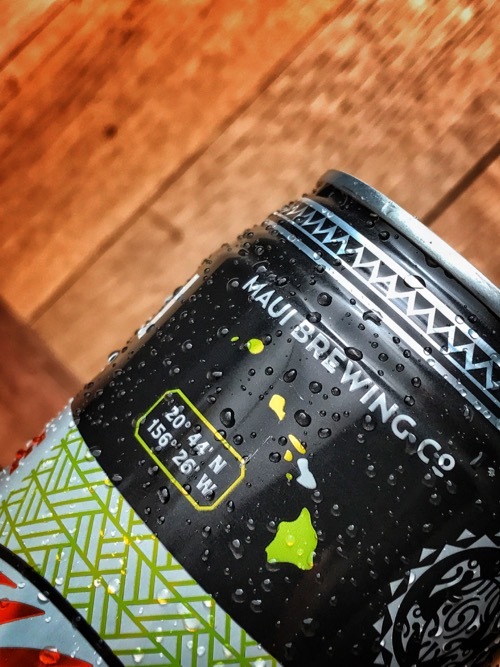 It’s hard not to smile and find your mind drifting to the South Pacific when you crack open a can of this beer and catch a whiff of the sweet fruit that is locked inside. 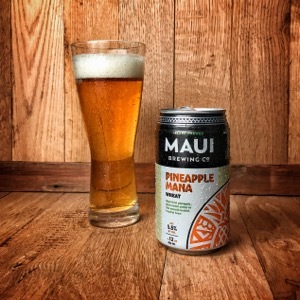 They use the world famous Maui Gold pineapples to breathe some life into this before it makes its way into your glass. The crop used to dominate the landscape in Hawaii, but most of the big farms have since closed, leaving those that are still there to become a real treasure (they’re actually known to contain 3 times the vitamin C of other pineapples grown elsewhere). 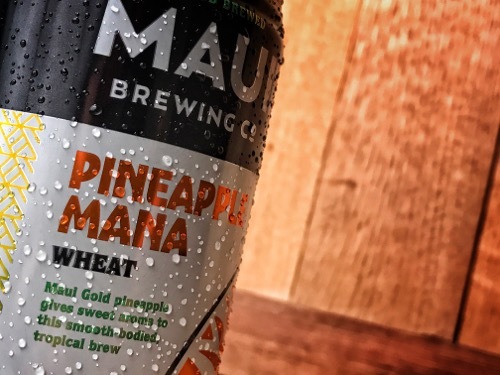 Genuine Maui Gold pineapples are the secret behind this beer in my opinion. 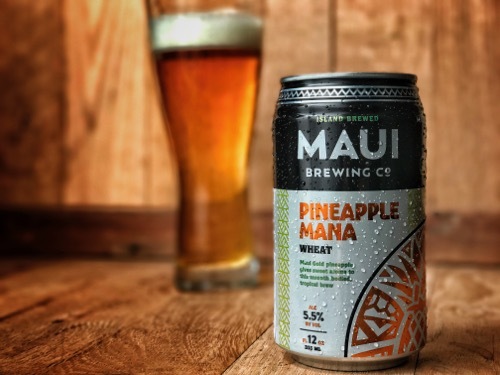 The pineapples that the brewery chooses to use for their beer are slightly under-ripe and tart, as opposed to the sweet, ripe ones that you’ll find in gift shops or grocery stores. These would typically go to waste, but instead are used to complement the beer perfectly. 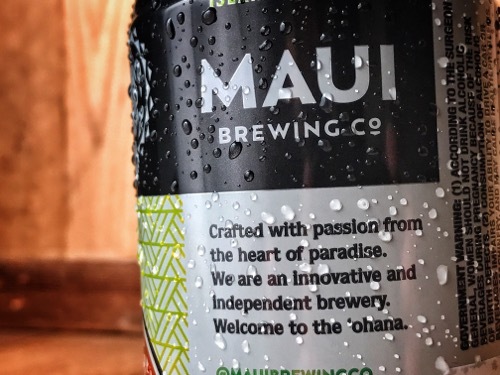 As I mentioned before… this beer screams Hawaii. It’s tropical paradise in a can, available for all your weekend escapes at a moment’s notice. In the glass, it pours a light orangish yellow color, with a big, frothy white head perched on top. 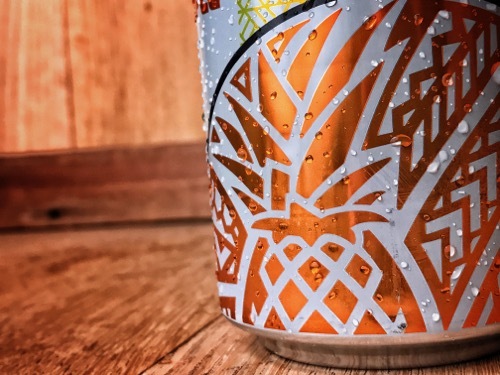 Aromas hit you as soon as you pop the top of the can, like opening up a can of fruit cocktail, you’re hit with the obvious pineapple, but some other sweet notes of cherry and banana are there too. Taste is sweet off the bat, with the pineapple being ever-present, but fresh and clean, balanced by a nice body that is yeasty and full. How do the tropics taste? They taste really good. How’s that for a descriptor for you? If you’re looking for something sweet, tropical and sessionable for a summer day, or a day that makes you feel like it’s summer again, this might be your best choice that I’ve tried in a long time.